BD LSR II : Rebuilt 4-laser, 11-color LSR II with Diva 8 Computer. Custom configurations and HTS can be quoted separately. . Workstation: HP XW4600 computer with DiVa 8.1 software, 2 ea. 19" flat screen displays, and ink-jet printer. 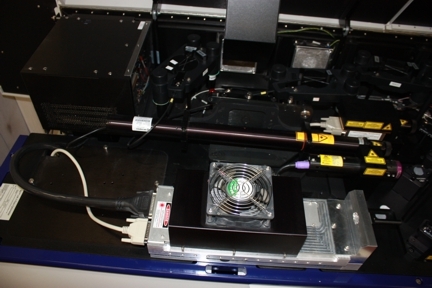 Lasers: Coherent Sapphire 20 mW 488 nm, Coherent Radius 25mW 405 nm, JDSU HeNe 20 mW 633 nm and Genesis CX 100mW 355nm. 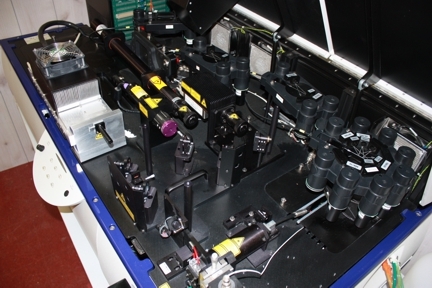 Additional or substitute lasers can be quoted separately. Fluorescence Linearity: Doublet/singlet ration of 1.95-2.0 for PI-stained chicken erythrocyte nuclei (CEN) excited with 488 nm laser. Fluorescenc Resolution: CV of PI: <3%, full G0/G1 peak for PI-stained CEN. Flow Cell Design: Rectangular Quartz Cuvette: internal cross-section, 430 x 180 mm. Maximum Analysis Rate: Typical operation at 20,000 events/sec which requires a sample concentration of 2×10*7 cells/ml at an instrument flow rate of 60 μL/min. Sample flow rates: Front key panel provides three modes: RUN (LO=12 μL/min; MED=35 μL/min; HI=60μL/min), STNDBY, and PRIME. The Sample Fine Adjust knob adjusts sample flow rates from 0.5-2X the rated value. 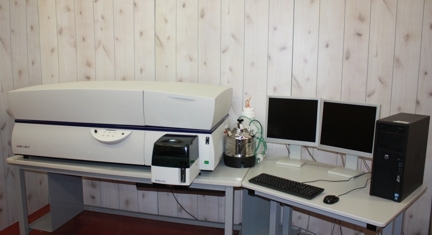 Analyzer dimensions/weight: 62" (156 cm) w x 34" (87 cm) d x 22" (56 cm) h / 525lbs (239 kg). 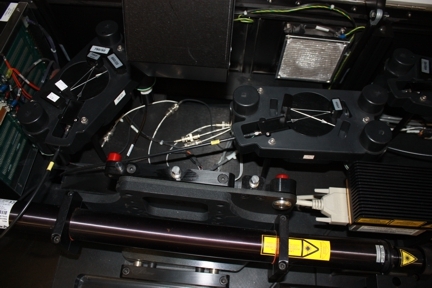 Pricing adjusted for alternative laser, configuration and sampler requirements . 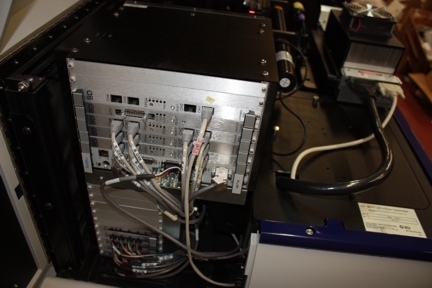 Performed instrument decontamination and flow cell cleaning procedures. Performed any painting and silk-screening required for a like-new appearance. Replaced filters, fluidics tubing, o-rings, seals and connectors as required. Cleaned and inspected waste and sheath tanks. Set sample pressure to specifications. Confirmed all lasers performing at required power and stability. Adjusted sample flow rates for correct settings. 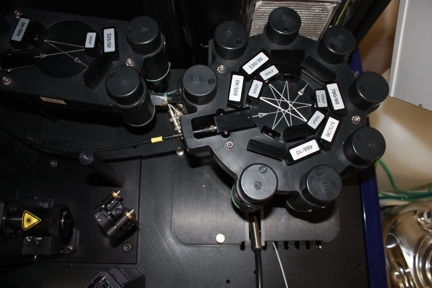 Cleaned and aligned optics for optimum performance utilizing calibration and CST beads. Confirmed that all workstation and instrument functions meet original factory specifications. Printed all results to be included with shipment and/or faxed to purchaser for approval.